Discussion in 'Happy Birthday!' started by Yuuzume, Apr 14, 2019. @Chaudfontaine Happy Birthday Chaudius!! 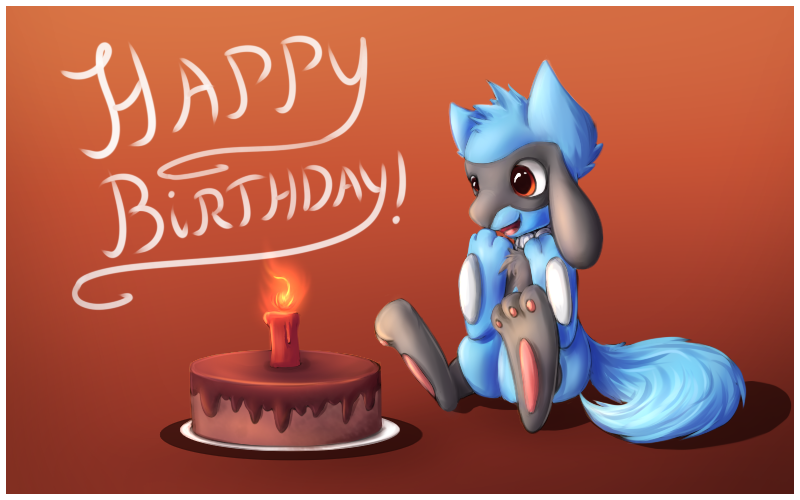 You'll hopefully see this early on in the morning tomorrow and several people will have hopefully replied in this thread by then, so let me the first of them to wish you a happy birthday. I hope that you have enough fun tomorrow to keep you going until your birthday next year. Get drunk but stay sober enough to be able to recall what you did and post it in the drunk thread. Well, to cut the gibberish short, have a blast worthy of your nickname...Caesar. Chaudfontaine and Edinbour like this. I'm on my way to your place to party-hardy! THANK YOU very much for your wishes (and you too @Edinbour ). Yesterday I had a lovely diner with my parents and brothers. Today I'll go to the zoo and have some quality time with ChaudGF. The real party you speak about will start next week saturday! I'll keep you posted on the drunken adventures! Edinbour and Yuuzume like this. Happy birthday, Chaudo. Enjoy your gift! Thank you Gringo! Cake will be something for later today! Thanks blokey! My year is as good as the people in it. So it all depends on you guys. Sounds like time very well spent. Have fun at the zoo today with the ChaudGF, and looking forward to the future posts next week. On a side note, your avatar is nice. Solo leveling banzai. Happy birthday bro i hope u got crunk this weekend unless ur still hungover!!! !